First XM21 out in .450 bushmaster followed me home from Camp Perry this year. Looking forward to putting some " big lead" down range. There is a spare VXR-Patrol in 1.25 - 4 that is just itching to top of this big girl. Wow,thats gonna be a thumper!! I have just dipped my toes in the m14/1A pond by buying the bula xm21 with tbe 16inch barrel off lear70 a few weeks ago. Wont be shooting it til i get a scope for it though. Very nice Art but that tipton vise is way too clean for a busy builder like you. You wouldn't say that about the Tipton if you saw it up close. That thing has been out to my shop for pressure washing and decontamination more times than I can count. 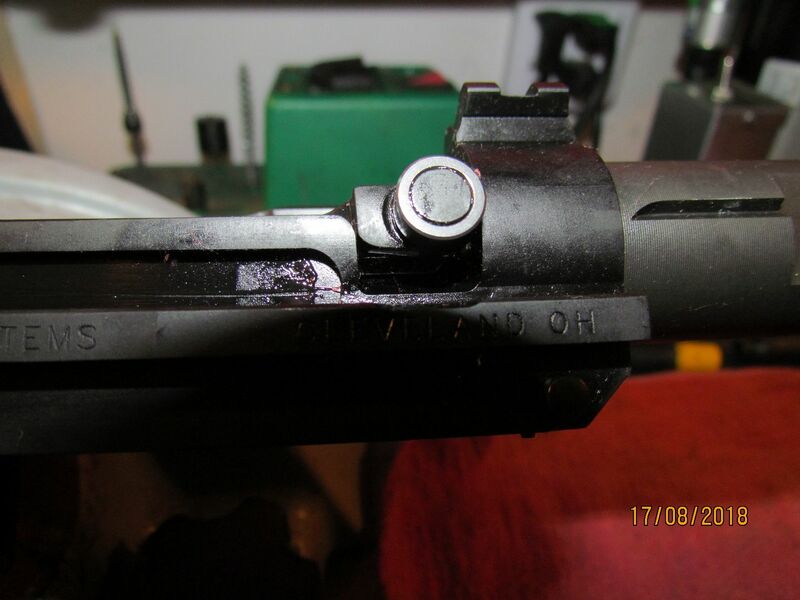 Probably in excess of 3500 rifle cleanings and many barrels being reamed for headspace have sat on it and been better for it. 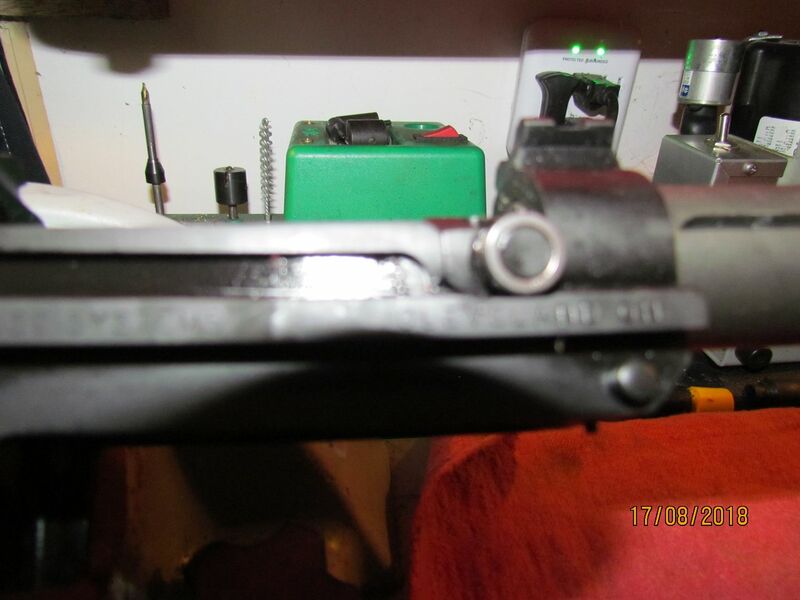 The vise is getting pretty ragged around the corners but still gets the job done. Popped a spare Leupy 1.25 - 4 on her this morning. I think it will cut the mustard. Just funning with you Art but I owed you that one from when you commented on the "cleanliness" of my Tipton in a photo I posted on the 14 forum a month or so ago. Nice wood on the new 14 by the way. I'll be watching for your range report. 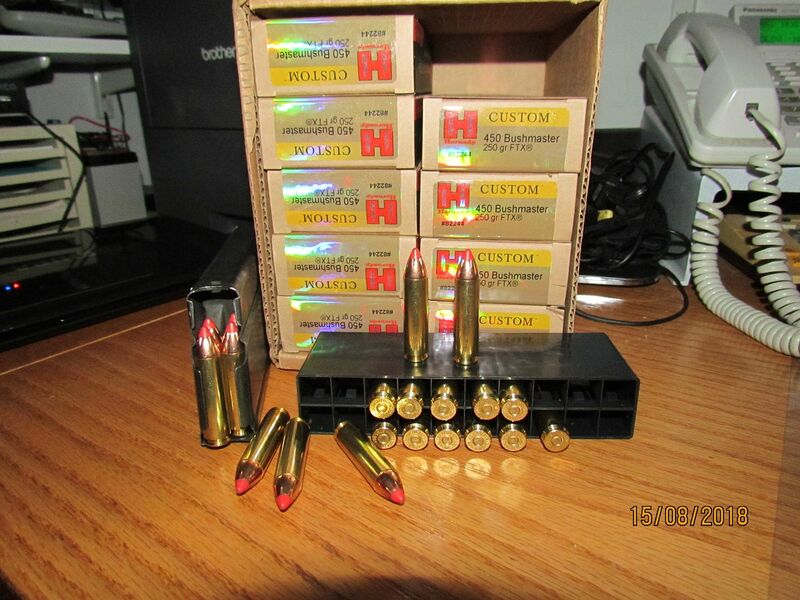 Got my first case of Hornady ammo for Miss Thumper today. Hopefully, in the next few day she will visit the range and have a little fun. While I am at it there's a bunch of prepped Starlite brass in the dryer in the shop. Got the powder, bullets and primers ready to whip up a batch tomorrow afternoon. Ammo and bullet comparison side by side. Mouse gun on left, next .450 then 6.5 then .308. ARs are available with uppers for .450 While M14s are good to go with .450, 6.5 and .308. Other calibers are available , but these are mine and I am sticking to it. A bit of time availed itself this afternoon so I had an opportunity to get to know the thumper just a little. 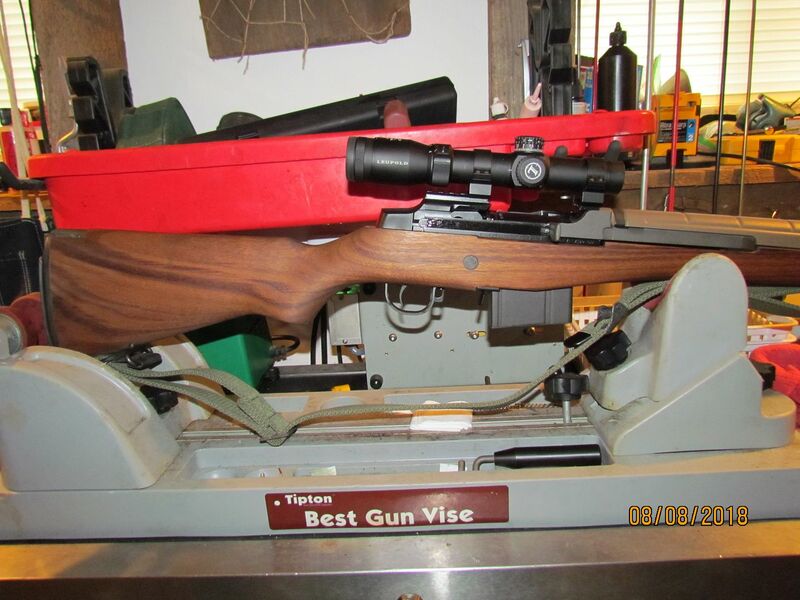 I would like to compliment Josh at Bula Defense for a super job of building this fine rifle for me. Also I would like to thank Wayne the owner of Bula Forge for assisting Josh in fitting the handguard over this monster barrel. Well done guys, the teamwork was enjoyable to watch. 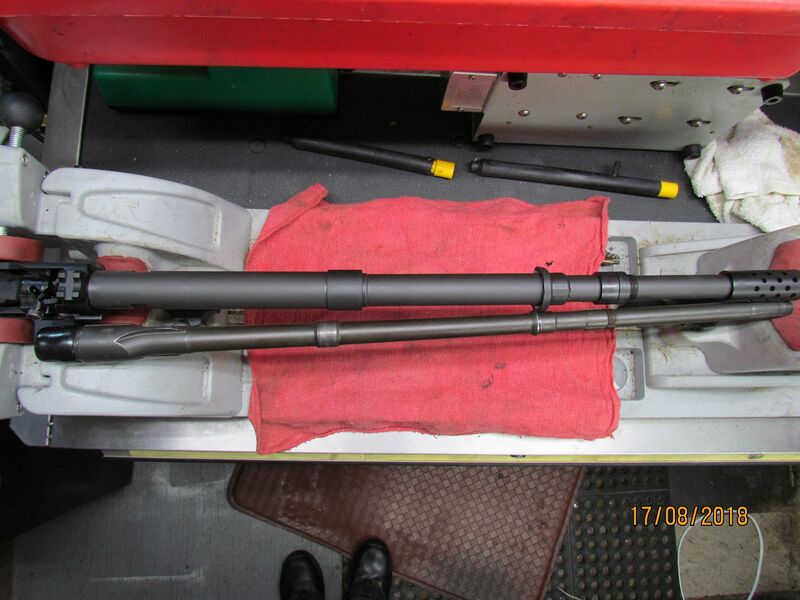 This photo show the .450 bushmaster barrel next to a USGI H&R. 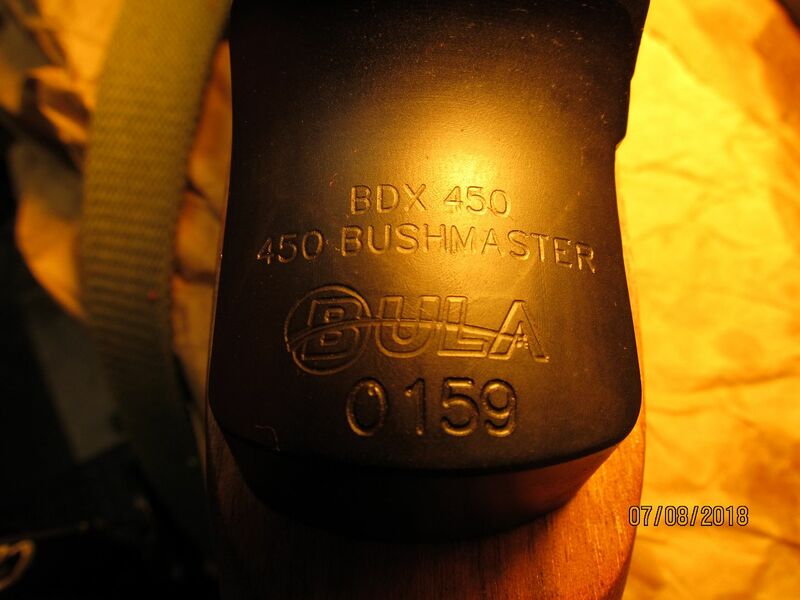 I think the bushmaster is more of a lolly collum than any barrel I have been used to. Checked headspace with brandy new Pacific Tool and Guage gear. First photo if field guage. Then the one we look for, the "Go" guage. Bout time huh? This was the fun part and a learning experience to boot. Used 20 rnds of Hornady 450 Bushmaster 250 gr FTX for my first date with thumper. Not disappointed , but a little surprised that the recoil was not as significant as expected. That's a good thing. As with every XM21 I have put together , the scope I moved to this new rifle was dead on for windage but about 8" low at a hundred after firing M118 in the last rifle it was mounted on. 4 shots got me up into the 4" siting box without a problem where it did a reasonable 2" group. Target photo is of the second target. Hits started at the top and walked down 5" as the barrel carboned up and the lead slowed down. The shot 1.5" to the right was on the 7th shot and called. 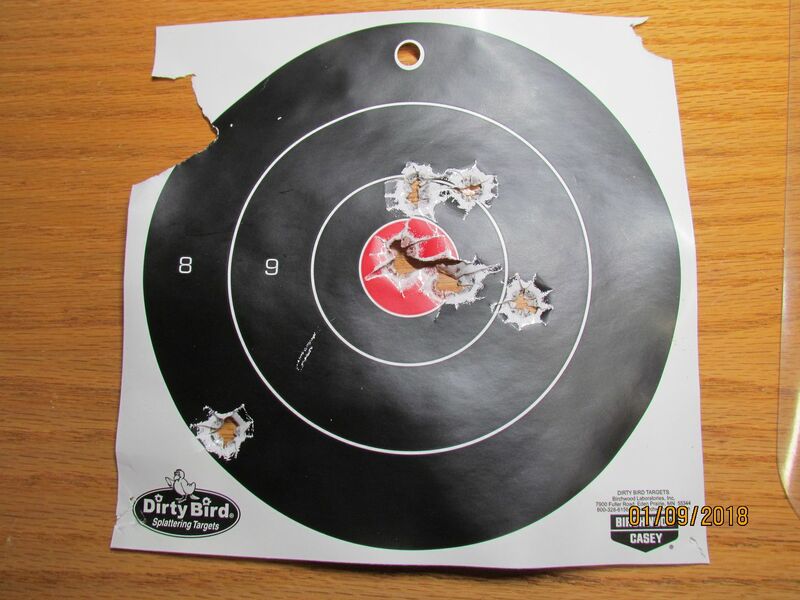 So it appears that the bushmaster likes a clean barrel, as least to start with. We will see how it works after breakin. So, a 5" drop in elevation after 20 rnds rapid fire ain't that bad for a supposed hunting rifle. 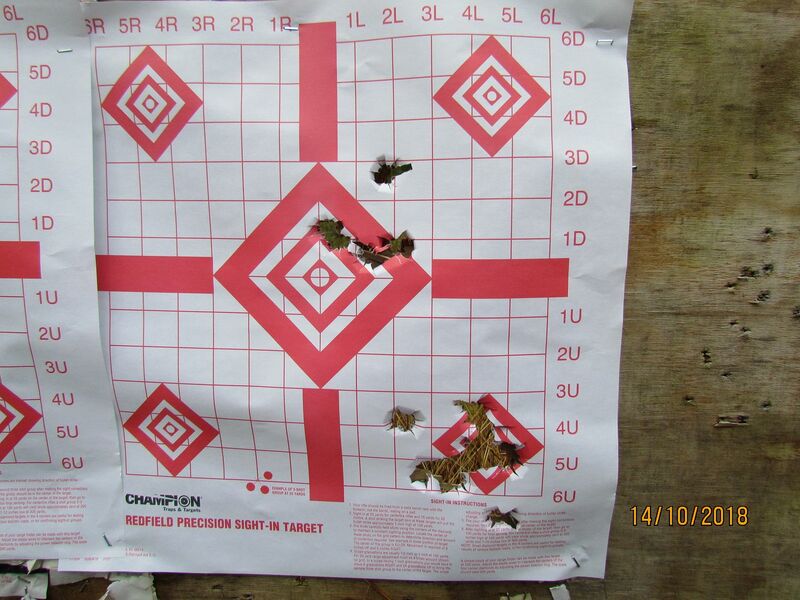 Well, it took a little time to get back to the Bushmaster but managed to get out and shoot some this afternoon. 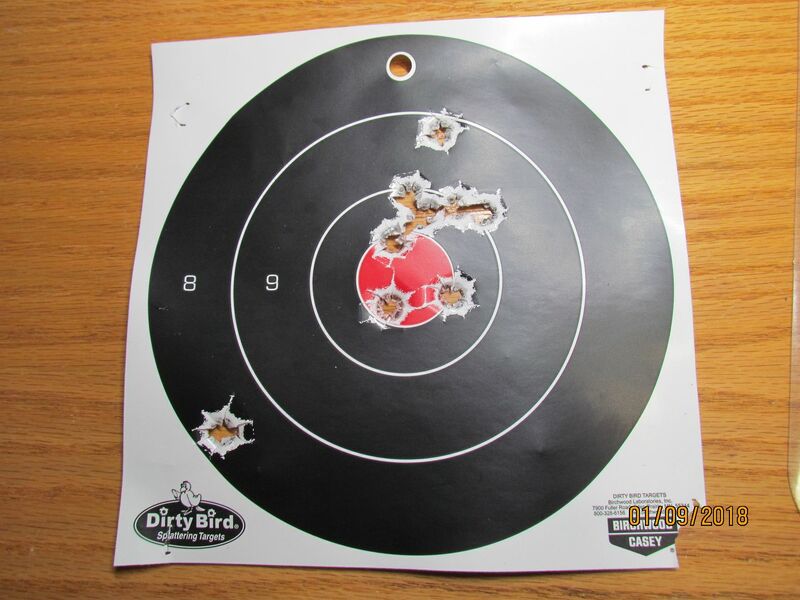 Shot 2 Dirty bird 10 rnd targets at 100 yds. 1 target 97-3x the other 97-5x. All I need to do now is figure out why the first shot out of every mag is at 8 oclock in the 8 ring. Almost identical shot placement for the first rnd out of every mag. Other than that and watching out for the scope during recoil, this animal is a blast. Using Hornady 250 gr FTX moving at 2200 fps, this critter lets you know when you pull the trigger. Sure wouldn't want to be on the receiving end of this Thumper. I've got .45 Cal rifleitis real bad and you aren't helping. Gave up begging a buddy to let me shoot his 450 bushy AR. Offered to compensate with bountiful amounts of 450 bushy ammo but he continues to refuse to unchain the beast from its cage. Oh well. Took the thumper completely apart, cleaned and re-assembled. Shot 20 rnds. First 5 were aimed at center. Slightly high and right. 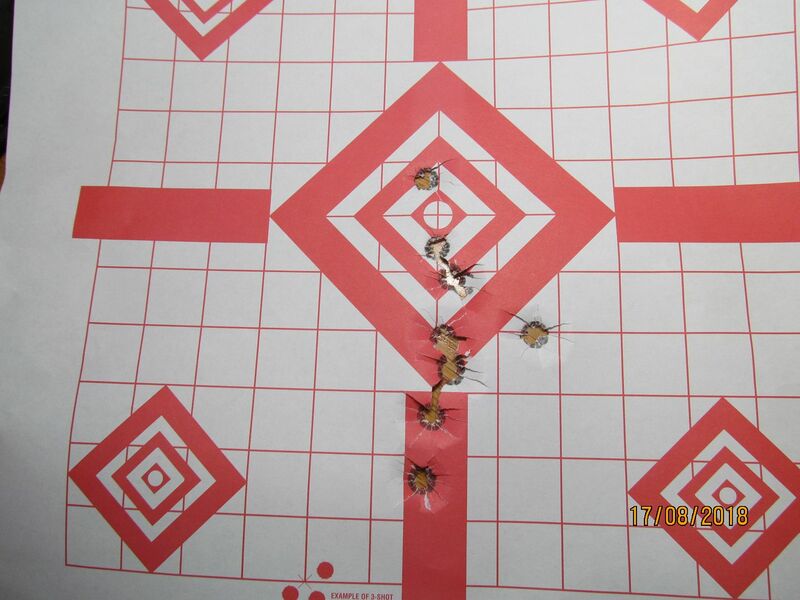 Adjusted scope and ran full mag 15 rnds rapid at lower right. I think she is ready of any North American game. Scope is Leupold VX-R Patrol 1.25 - 4 mounted with QRW rings. Not exactly a target scope. Might even give the 10 dot a shot with this set up. 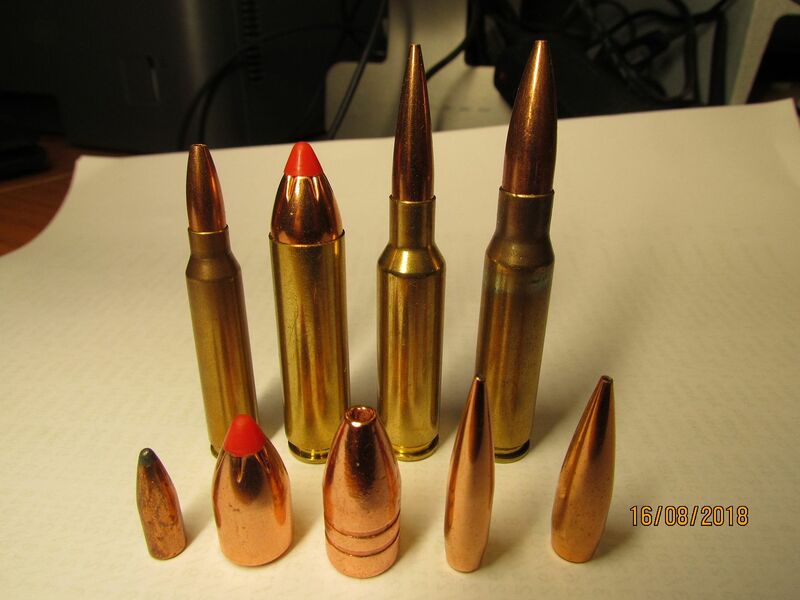 Try some boron nitride coating on your projectiles and first round will land in the group. It works for me and is the "secret" to first shot cold bore kills. That's interesting. I've been using boron nitride for 28 years but not for that application. I've never heard of hex boron nitride. PBN (pyrolytic boron nitride) is a refractory ceramic used for crucibles in molecular beam epitaxy. Metals melted in a PBN crucible maintain their purity. We been using tungsten disulfide for decades to dry lubricate bearings and sliding surfaces in ultra high vacuum chambers as it works better than moly disulfide. Using pure isopropyl alcohol as a carrier for super fine powdered tungsten disulfide we drench the parts, let them dry and use them. Works great, is cheap and a little bit goes a long way. Have often though about using it for bullet/bore coating. Will need to look into the HBN some. Thanks for posting that. 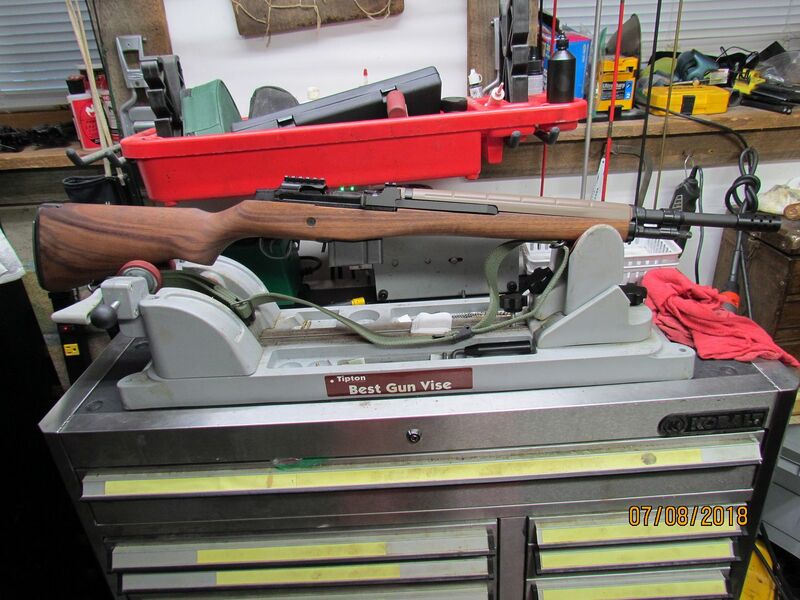 I'm surprised you don't have an M-14 clone in .243 Winchester and 7mm - 08. 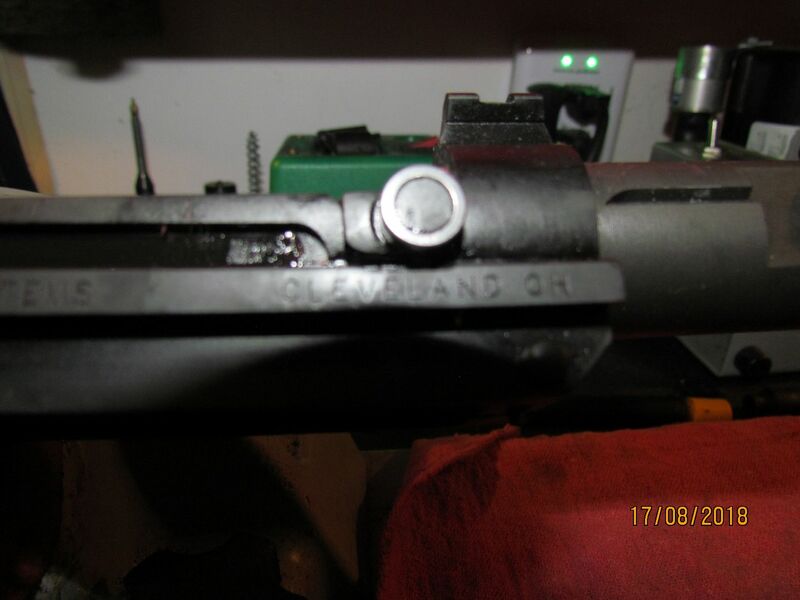 In addition to these calibers, Springfield Armory of Geneseo also made some in .358 Winchester but the larger bullets (> 173 gr) were destroying the gas system, op-rod, bolts and receivers, so they stopped making them. 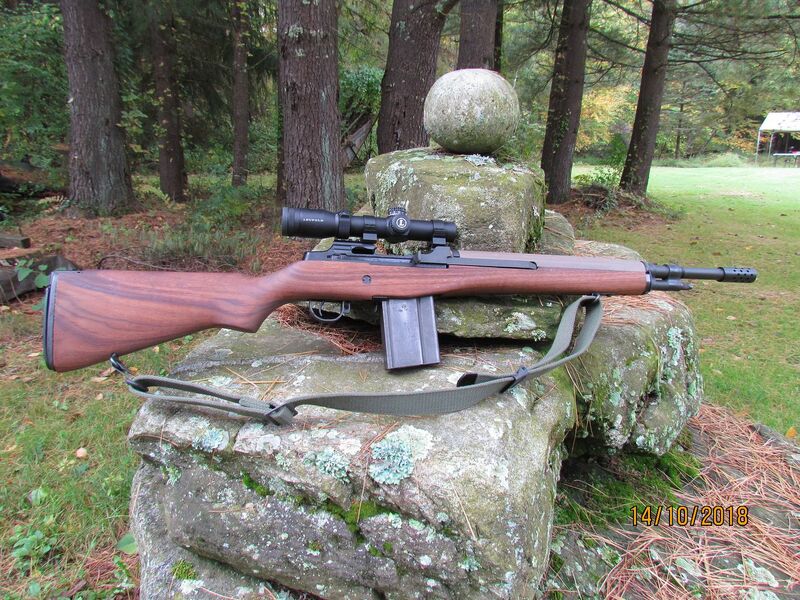 I imagine a .260 Remington M-14 would make a good hunting rifle too. Just hit 70 yrs old today. I think I have enough different calibers to keep me for a time. That is unless Bula comes out with something new. Then I would consider another possibility. Well, HAPPY BIRTHDAY, AND MANY MORE!